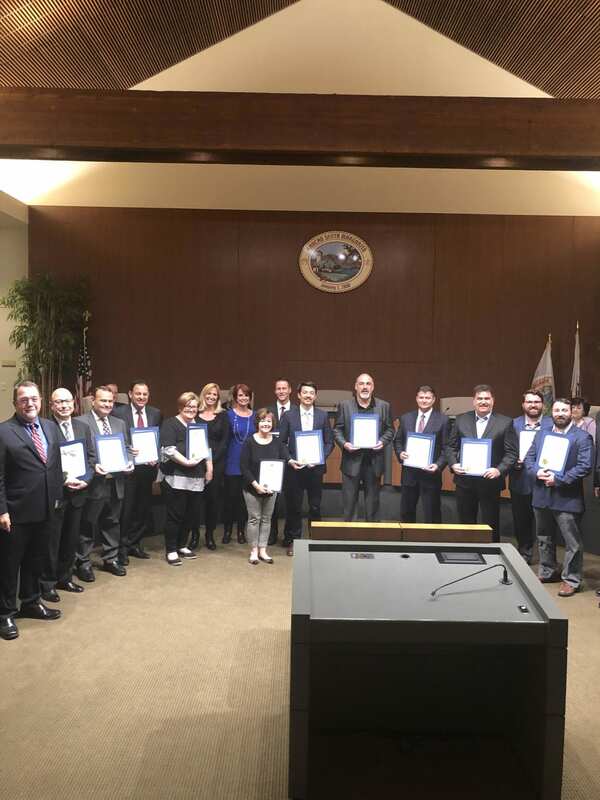 RANCHO SANTA MARGARITA, CA (January 9, 2019) – On January 9, 2019, Westar Associates received Certificates of Recognition for being a 2018 Silver Sponsor for the City of Rancho Santa Margarita. Westar was acknowledged by the City Council, as well as California State Assembly, William Brough of the 73rd District, during the first Rancho Santa Margarita City Council Meeting of the year. The Silver sponsorship, donated by Westar Associates, assisted the Rancho Santa Margarita Community Services Department in hosting many events and activities throughout the year, including the Summer Concert Series in which approximately 4,000 people attended each Sunday in July and August. In addition, the sponsorship helped the City in providing the 18th Annual “Celebrating Family and Friends” New Year’s Eve Event. This popular family-oriented, alcohol-free event brings the community together each year to celebrate the New Year in a fun and safe environment. Other events supported by the Silver sponsorship include the Patriot Day Commemoration and Veterans Day Recognition. For approximately twenty years, Westar Associates has managed and operated Plaza Antonio, the neighborhood shopping center located on Antonio Parkway and La Promesa. The center includes Pavilions, CVS Pharmacy, and a variety of service uses, eateries, and retail.